Did you know that over 70% of the world's organizations reported having a security breach incident or a cyber-attack in the past 12 months? 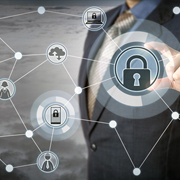 IT security management has seen massive changes and evolution in the past couple of decades. By using information systems and other electronic means, organizations try to gain the competitive advantage in the industry. The organization's ability to secure these systems is very critical. IT security management deals with the methods of securing information systems from any kind of external or internal network attacks. Having effective security strategies is one of the key drivers for adopting automated technologies. These technologies provide measurable insights and free up resources from redundant and time-consuming tasks. Automation solutions allow different industries to improve their security posture without affecting their day-to-day business. In this article, we have listed some of the best practices for information technology security management automation. Repetitive tasks, such as taking backups, need to be automated. Identify the tasks and processes which are redundant and time-consuming and automate them. This helps to reduce human intervention, and hence free up some resources for other tasks. The number of devices we use is increasing at a rapid rate. One should ensure that all the devices in the network are built, upgraded, rebuilt, and patched automatically without any human intervention to enhance security. Companies must make use of standard and configuration templates in all their processes. The lesser a human interferes with the tasks, the lesser the chances are for any kind of security breaches. The standard processes and security controls must be defined clearly. Consistent controls and processes reduce the difficulties during deployment and the user acceptance. Before deploying any kind of configuration updates or patches, it is important that it is pre-certified and tested using peer review. Disable all kinds of USB ports, disk drives, and any other kind of unnecessary user accounts and services. The access should be limited to only those who actually need them. Rename or disable the administrator account. The users don't usually need the admin rights and access, especially when you have a systematic software request and deployment method in place. The software and device inventories must be kept updated at all times. It is important to identify any unrecognized devices and managed accordingly. The devices must be categorized based on the use and its importance as these steps will help in case of any security breach. It is important to perform regular security reviews and penetration tests. If there is no internal security team to handle these processes, it is advisable to hire an external third-party service provider. Outsource2india is a leading outsourcing company providing IT risk and security management services and a host of other software services for the past 20 years now. Serving global clients from different verticals, we are capable of catering to any kind of IT security management needs. Our experts are trained to leverage the best tools and technologies to deliver quick and efficient services at highly affordable prices. Operating through multiple delivery centers spread across the globe, here is how we helped one of our clients in successfully combating against security breach. So, if you are looking for a proven, managed IT security services to fight the growing threat of security breach and cyber-attacks, then please feel free to reach us.